Just like life, marriage is a never-ending growing process. It is a humbling journey, making me a better person every day. In order to become a better person, though, it’s necessary to have the difficult conversations and hand over our flaws to God. In honor of Duncan and I celebrating our third wedding anniversary last week, I wanted to share 3 things I’ve been learning throughout our marriage the past 3 years (and I’m sure I’ll continue to learn and have to grow in). Expectations are so dangerous. I can’t tell you how often I’ve built up expectations in my mind and failed to communicate them to Duncan. Every single time it has led to frustration and disappointment, both of which were totally avoidable had I simply communicated. I can’t reiterate the importance of communication enough in any relationship, especially marriage. It is critical to humble ourselves and admit when we are wrong. I have a super hard time with this, because I hate being told I’m wrong… in school I never once missed turning in an assignment and never turned in an assignment or test with a blank space, because I did not want to leave any room for a teacher to get onto me. I got the best grades I possibly could, because I didn’t want to get a single question wrong. Yes, it is important to work our hardest on everything we do, but it becomes a problem when our motives aren’t right. And this has played into my marriage, in the form of me having trouble simply admitting when I am wrong and not wanting to apologize. God has been using Duncan, though, to open my eyes to the value of correction. We’re never going to grow without being stretched, corrected, and humbled. Live in the now, but never stop dreaming together. Happiness is something you have to choose NOW (not, “Things will be so much better in 3 years when my husband is finished with school,” or “We’ll be so much happier when we live in our dream location”). This is something I fall prey to, but life is so, so much better when we choose happiness now. With that being said, it’s crucial to never stop dreaming, either. Some of my favorite conversations with Duncan are about our top 3 destinations we’d want to live, where our current dream vacation would be, how many children we want to have, etc. It is the best being married to someone who challenges you to be happy (truly joyful) now, but who is also willing to dream big with you. Thank you, Dunc, for 3 wonderful year of companionship, teamwork, and growing together! We can probably all agree, whether you’re married or not, dating is fun and exciting. Once you get married, I believe continuing to date your spouse is super important and honestly still just as fun (if not more fun), because you know the person so well and are becoming closer every day. Since Duncan started medical school, our lives have changed and he’s definitely busier than he used to be. We also have our baby girl, who takes a lot of my time and attention (not that I don’t love it, because I totally do! ); these drastic changes combined have made a big difference in how much time and money we have… BUT despite all of that, dating each other is more important than ever and honestly more cherished. Our marriage is super high priority, no matter what season of life we are in, and we want to treat it that way/nurture it by spending intentional quality time together. 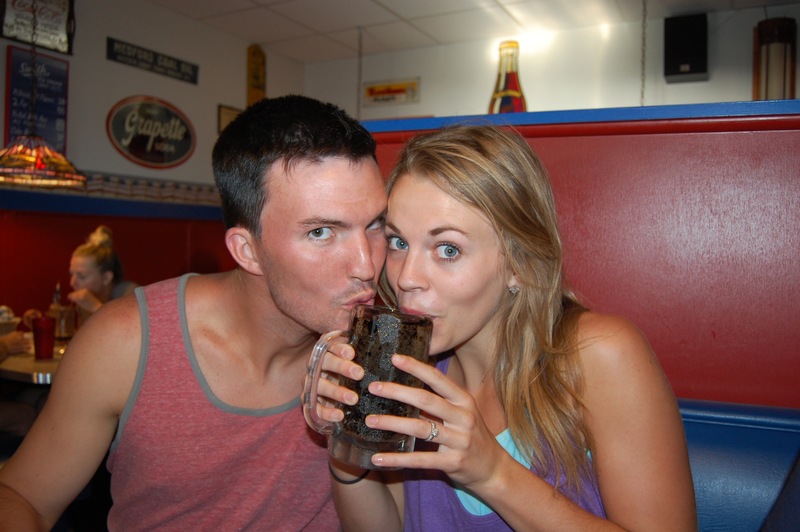 Most of our dates are simple and really affordable (and include our favorite little third wheel)! We love going to the parks near our house; there are a couple within 5 minutes, and Lively loves them, too! We just got an attachment for our bikes, so Lively will be able to ride with us… it’s a win/win… exercise and quality time all at the same time! We also love icees, snow cones/shaved ice, and Sonic drinks, so runs to go get one of those are high up on our list of favorite things to do. Another one of our favorites is watching TV series together on Netflix… we always have a show we are watching together; if you ever need a list of shows you should watch on Netflix, I’m pretty sure we’ve got you covered, haha. We love to go to the store and get steaks, too, for Duncan to grill at home (probably even more than we love going out to eat!). We live close to Memphis, so when we have a little more time, we like to go into the city and find different things to do there, whether it’s trying new restaurants, walking around outdoor shopping areas, visiting the Bass Pro Shops at the Pyramid, etc. Really, whatever we’re doing, it’s nice to have time to talk with no distractions. We both enjoy talking about our hopes and dreams, places we’d want to live someday, destinations we want to visit… just continuing to get to know each other better, despite the chaos of daily life. I’d love to hear some of your favorite date ideas! Best snow cones in Memphis! New seasons can be intimidating and change can be scary. 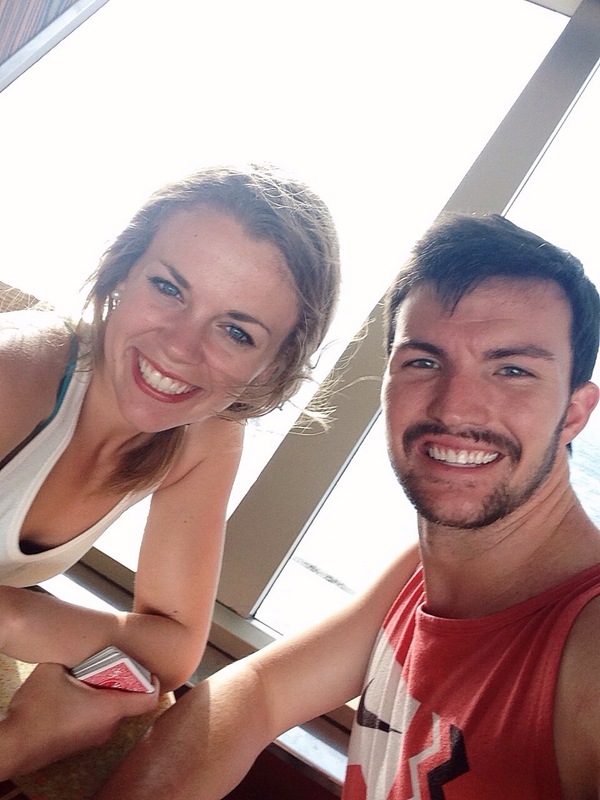 Before Duncan began medical school, countless people told us how much our marriage would change and how difficult it would be. 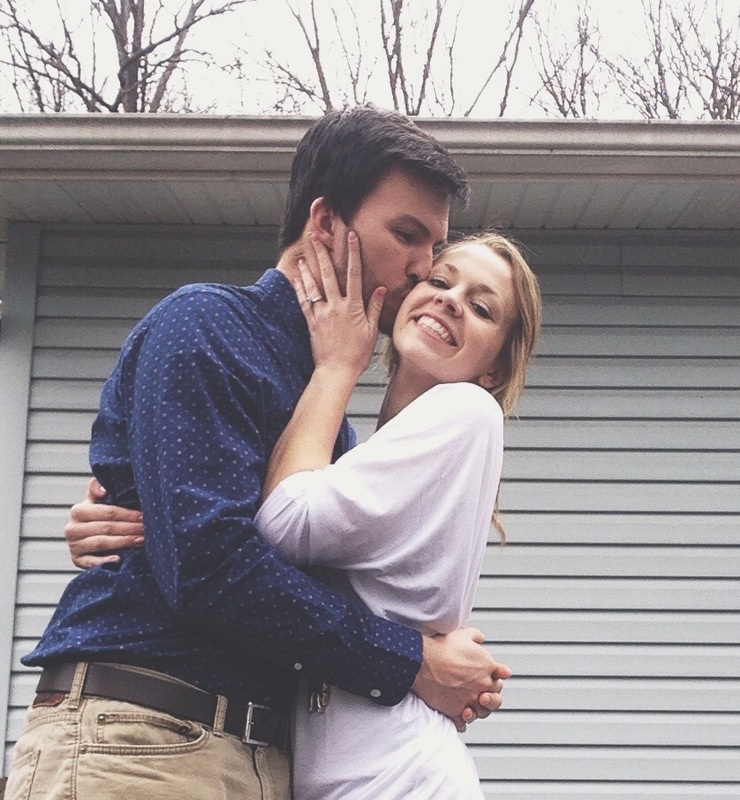 It was really discouraging to hear and made me terrified Duncan would never have time for me. Instead of allowing the fear to cripple us and the change to create distance between us, it has actually brought us closer. One of my favorite things about Duncan is how intentional he is with communication. He sets aside time every day when he gets home to talk distraction-free about both of our days. We also have made sure we set aside time for a date night each week, no matter how stressful or busy the week is, because our marriage is high priority and time together is our favorite! 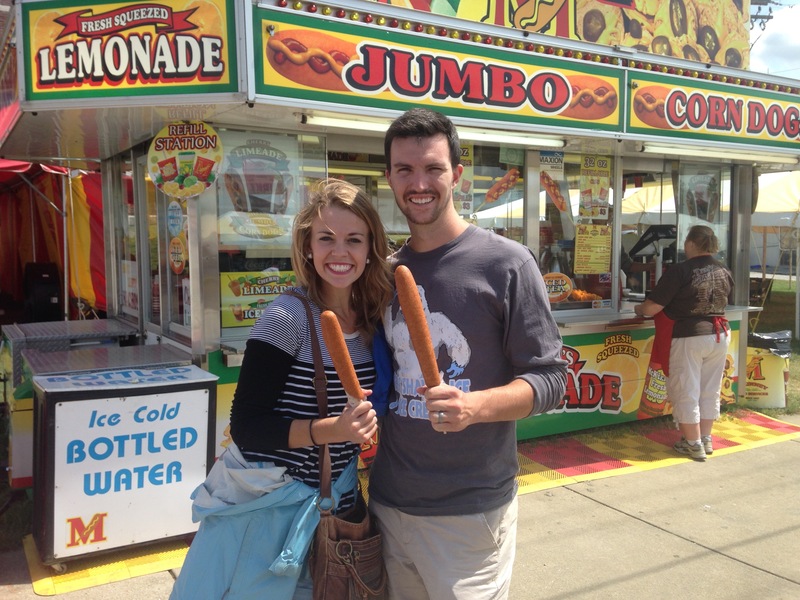 Last week the NEA Fair was in town, so we spent our date night at the fair! Even though we couldn’t ride any of the rides (they’re not really made for women who are 38 weeks pregnant), it was so much fun spending time together laughing and walking around… we walked probably 7 laps around the fair for a grand total of 3 miles (apparently Lively didn’t want to be “walked out”). We also enjoyed sharing a refreshing frozen lemonade, playing fair games, visiting the petting zoo, and watching other people ride the assortment of rides. It’s the absolute best being married to your best friend. Of course, no one will ever be perfect, and we cannot fulfill each other, because only God can; however, it is so encouraging doing life with with my best friend and walking through new seasons side by side. Side note: our precious daughter will be here a week from today at the latest! We cannot wait to meet her and become parents! This week marks one month of living in Jonesboro. Time is a funny thing… it feels like we just left Branson and like we’ve been here for months, all at the same time. It’s been tough being away from our friends, family, and the town we grew up in, but it’s been a month of growth, new experiences, and big changes. It has been so humbling to watch Duncan begin his journey through medical school. Duncan and I have been praying for this opportunity for years, and it’s so cool watching God open doors and helping us overcome obstacles. I’m adjusting to Duncan’s busy school schedule and all of the studying required, spending lots of quality time with Cannon, and cherishing Duncan’s and my weekly date nights. Honestly, Duncan’s been amazing about keeping me informed on what he is learning and not letting me feel alone. I cannot say thank you enough for the way he intentionally tells me about his day and asks me about mine. There’s no one else I’d rather go through all these crazy changes with. I love making new friends. It’s such a blessing spending time with wives of some of the medical school students Duncan goes to school with, who are walking through the same new season as we are. 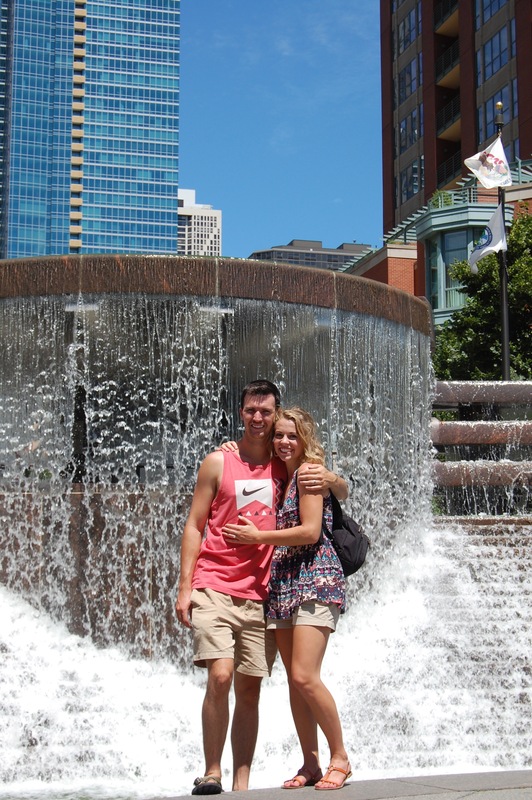 Our date day to Memphis was one of my favorites! We loved having Duncan’s family come visit us for his White Coat Ceremony! We went to Memphis for an evening with the Porters, exploring the city and even going on a horse-drawn carriage ride! I love my quality time with Cannon! We go on walks every morning and basically spend all day every day together. He’s such a good buddy. Not every day is easy, but I will continue to focus on the good. We’re taking things one day at a time and are not taking a single day for granted. Our Father has never failed us, and I know He won’t start now. 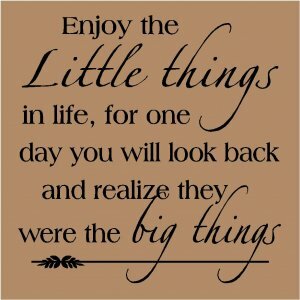 There is always something to be thankful for, and perspective is everything. This month we’ve laughed more and harder than ever before. I’m grateful for this unforgettable first month of memories! I have been overjoyed the past seventeen months of marriage and cannot help but overflow with thankfulness. Marriage honestly gets better each day, as Duncan and I grow closer to the Lord and each other. Yes, some days are better than others and we have disagreements, but it is the most amazing experience being fully known and loved by another person. Duncan and I often tell people that the best part of marriage is having the ultimate best friend. There truly is nothing else like the companionship of your spouse. Duncan is the first person I see when I wake up, the person I spend the most time with, the person I end the day with, and the one I want to tell everything. I love having no secrets, being totally myself, being goofy together, and laughing together. My absolute favorite thing is laughing uncontrollably together. I love knowing Duncan so fully and getting to experience his joy and the enjoyment he brings to every part of life. A Christ-centered marriage is such a beautiful and comforting place: a place of no judgment, with an abundance of honesty, humility, companionship, and challenging/bettering one another. No matter where we are or what we are doing, together is always the best place to be! I couldn’t agree with Martin Luther more. There’s no one I’d rather share everything with (even though I’m not always the best at sharing). I have spoken many times of my sincere gratitude for God’s gift of marriage. I cannot get over how cool it is that God created marriage as a picture of His love for us. I am not perfect, and I am definitely not a flawless wife. I will be the first to admit that I do not always enrich Duncan’s life. I can be demanding, I can nag, I do not always speak kind words, and I can be very lazy (the list could keep going on). But as a follower of Jesus Christ, I am called to turn from this sin. James 4:17 reminds us that “it is sin to know what you ought to do and then not do it.” When God tells us how we are to live (which He does through His Word) and we do not live that way, it is sin. God created the gift of marriage. Duncan and I have been married for a little over a year, and I can testify to the greatness of God’s gift. 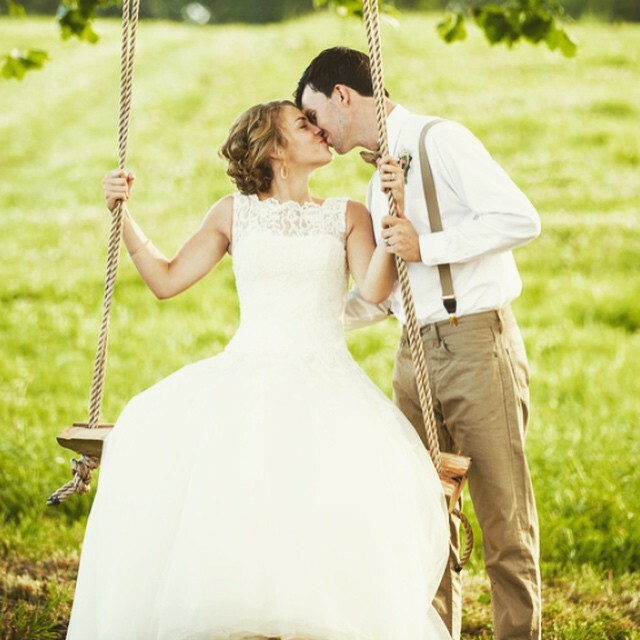 Marriage is a lovely symbol of God’s love for us, when we follow Him and let His Truth transform our lives. We choose daily to read the Word as our guidance and source of truth, because He is the creator of all good things, including marriage. It has been way too long since I have made an update! It was a crazy semester, but we are now finally on our last summer break as students! Boarding the ship in Galveston! 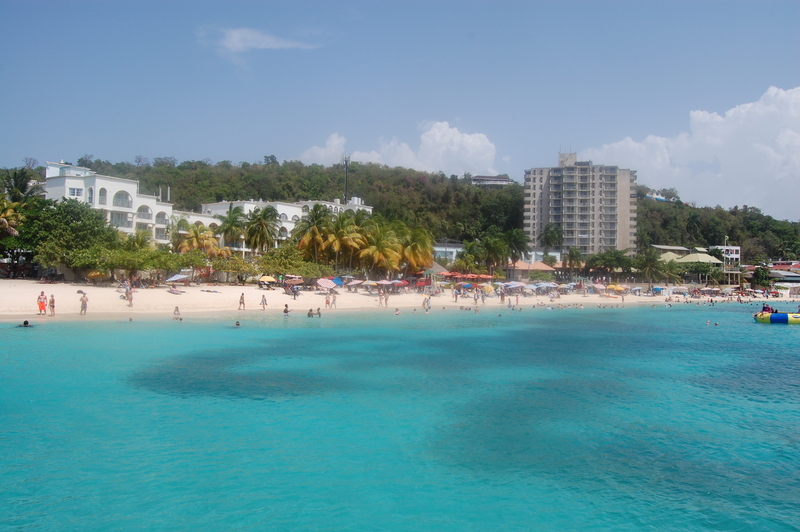 First stop: Jamaica! 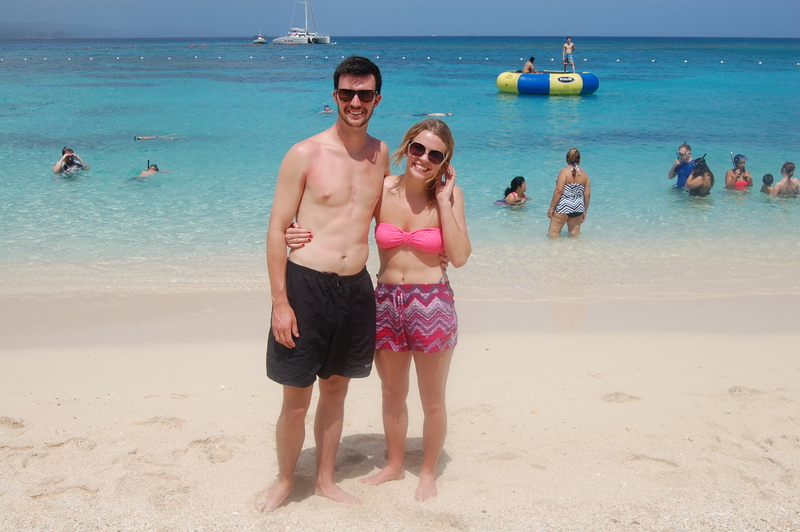 Neither of us had ever been to Jamaica before, and it was so much fun being able to experience together. 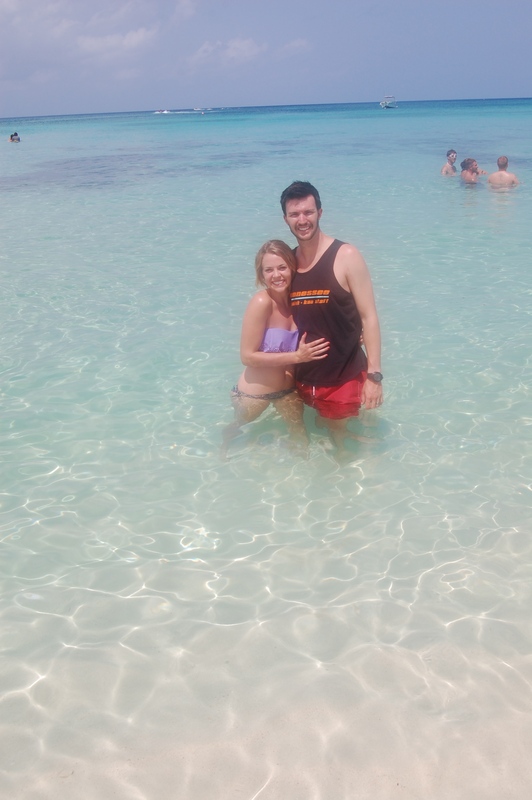 The water in Jamaica was perfectly clear. Duncan loved the snorkeling! 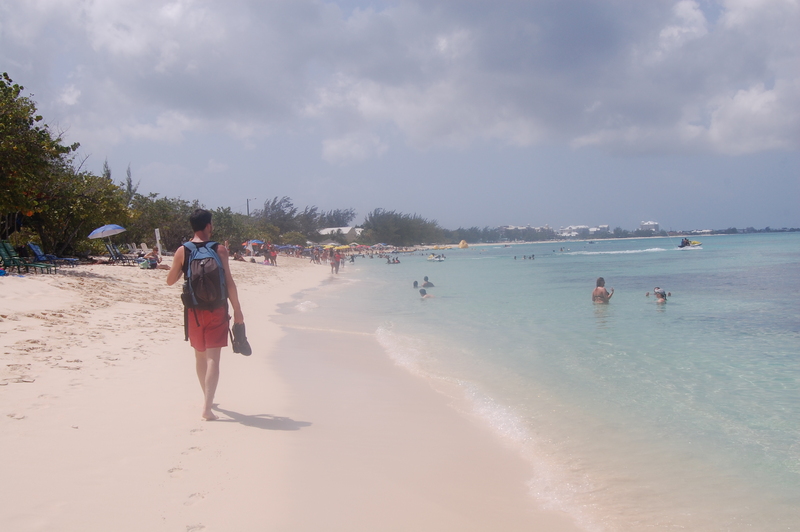 Second stop: Grand Cayman. Another fun, new destination! 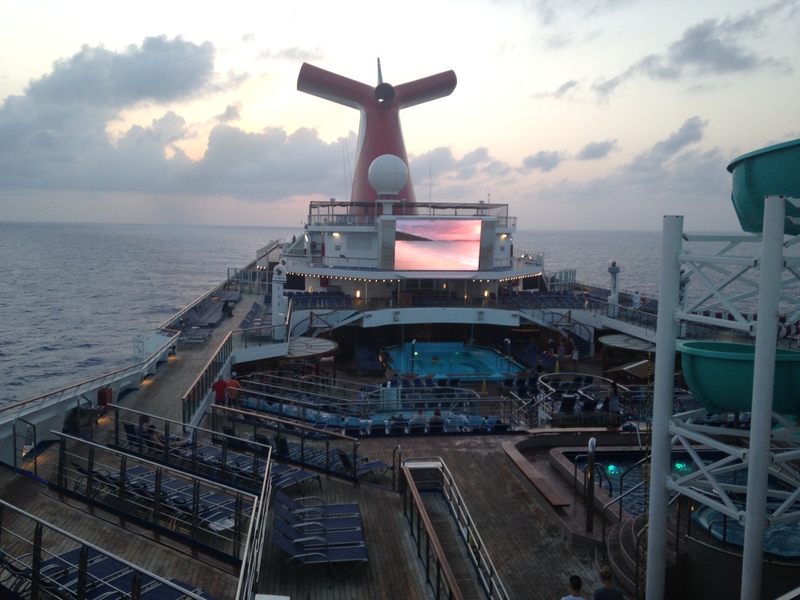 Final stop: Cozumel! 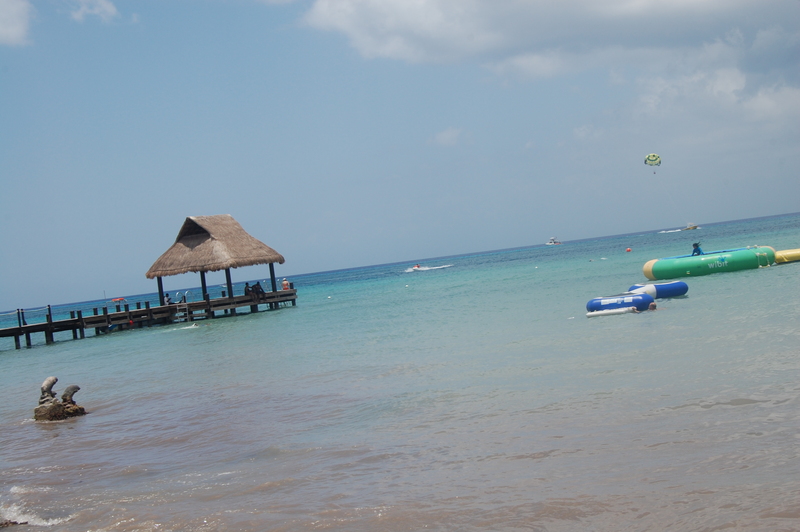 We had a wonderful day at Paradise Beach, snorkeling, paddle boarding, and enjoying the sunshine. 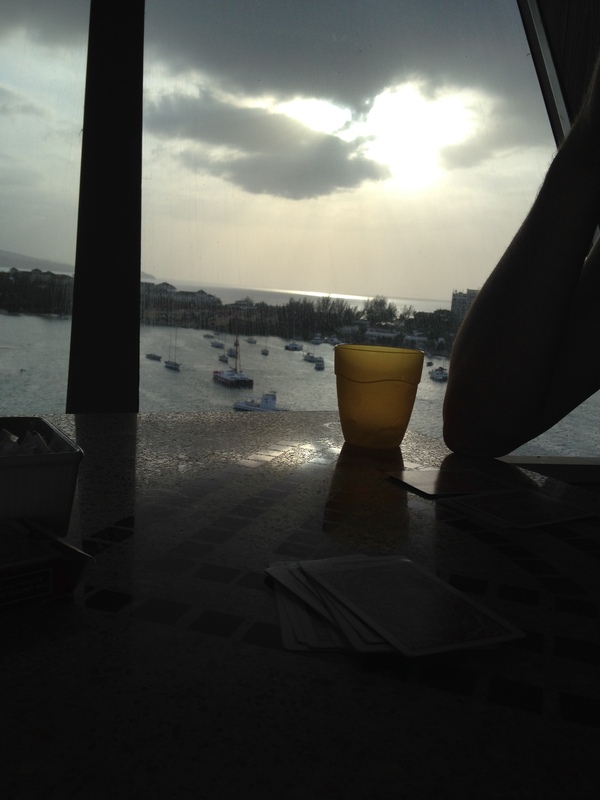 We loved relaxing, playing cards, & admiring the view. Yes…. 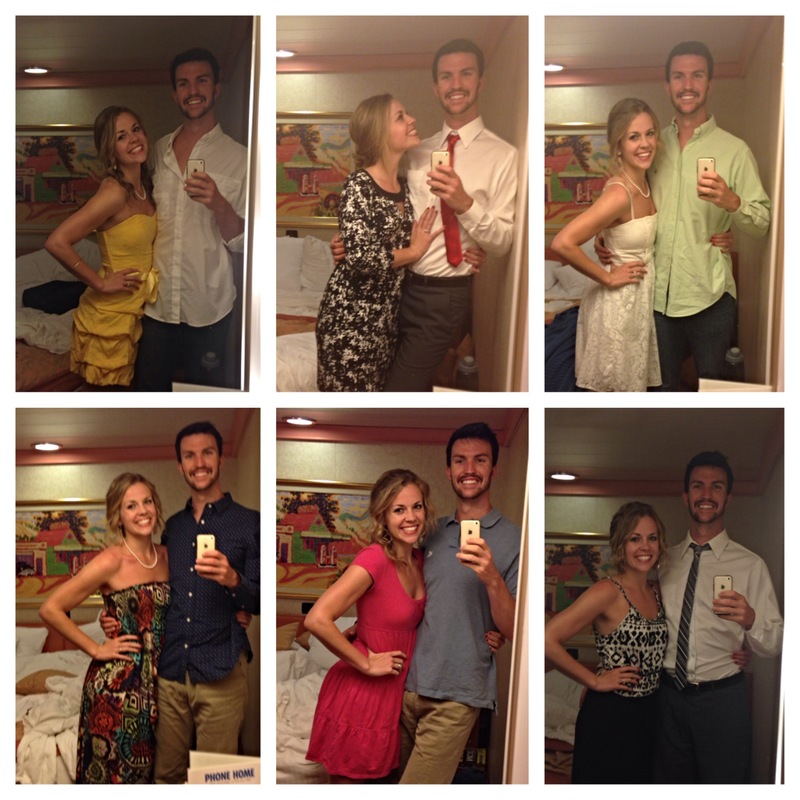 we took nightly mirror pictures before dinner. We loved our dinner waiter and the friends we made! And probably our favorite part of each day: the dive-in movies every night! We laughed, we cried, and enjoyed the ocean breeze. What an incredible first year of marriage it was, and the perfect culmination. God is so good, and marriage is the sweetest gift! 1) Duncan so genuinely loves the Lord. He is fully dependent on our Savior, and walks so in tune with Him. He realizes the areas the Lord has given Him as strengths, as well as his weaknesses in which the power of Christ can work through him. He has taught me so much over the years about being fully open and honest before the Lord, and the beauty of constantly being in communication with Him. When I start to become anxious and can’t seem to wait any longer to see what the Lord has in store for our future, Duncan points me to our Heavenly Father, who already knows what all of our days hold and who has the most perfect plan. 2) Duncan is dedicated and passionate. I have never seen someone who stays so on track with what he is doing. If there is something he is working on, he does not leave it unfinished. He is all there in whatever he is does, and you can trust that he will learn everything fully and thoroughly. These are the qualities of a successful, reliable person. 3) Duncan is kind and patient. He is constantly covering me with kindness that I do not deserve. He loves me so well, and second to Christ’s love, it is the deepest and most sincere, selfless love. He does not speak angrily or get frustrated with me, rather approaches everything calmly and is quick to forgive. He is kind to everyone, which makes him stand out and radiate with the love of Jesus. 4) Duncan is incredibly fun to be around. He has changed my life so greatly, and makes every day new and fun. He enjoys the little things, and always knows how to make people laugh. He has made me appreciate life so much more, and has filled my life with endless laughter. Whether it is watching TV series together, working together, or spending every day of summer together at the lake fishing, life is simply more fun together. 5) Duncan dreams big. I love that he does not settle or give up easily. He has big goals, along with the determination, boldness, and perseverance to make them happen. 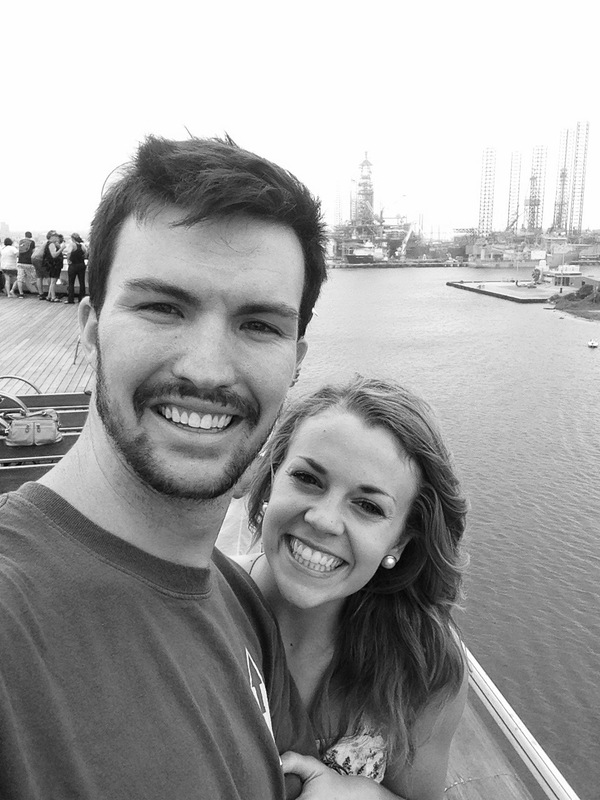 All of his goals involve helping others, which reveals even more his true love for Christ and for others. I am so thankful to be a part of his life and know that whatever the Lord has in store for him will be beyond our wildest dreams. 6) Duncan is servant hearted and bold. Duncan is constantly thinking of others and actively serving them. He is so in tune with the needs of others and never misses an opportunity to serve someone. He does so much for me, and I am so undeserving. Every morning he makes sure my backpack, lunch, and breakfast are together and easy for me to grab as I run out the door. He always makes sure that Kya (our puppy) is completely taken care of and given the love and attention she needs, even in the midst of his busy schedule. Duncan is my best friend and has helped to make our marriage so fun and beautiful. The Lord created this man, and deserves all of the praise. I am enjoying where we are at and look forward to the future together. I’m humbled and overflowing with thankfulness.